One of the standard features of today’s major Web search engines are query suggestions, which aid the user in the formulation of their search queries. Over the years, a number of different approaches have been proposed which have commonly been evaluated in the standard Web search setting. In this work, we build a query suggestion pipeline based on the collective intelligence stored in log data collected from a more constrained search engine which uses tags to index the content. 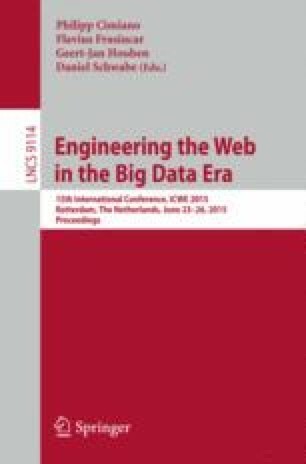 This constrained environment, though large-scale, differs considerably from standard Web search with respect to its users, indexing process and Web coverage. We implement a number of suggestion approaches based on query-flow and term-query graph models and investigate to what extent they are applicable in this more constrained environment. The work was conducted during the first author’s TU Delft Master thesis project at Sanoma.